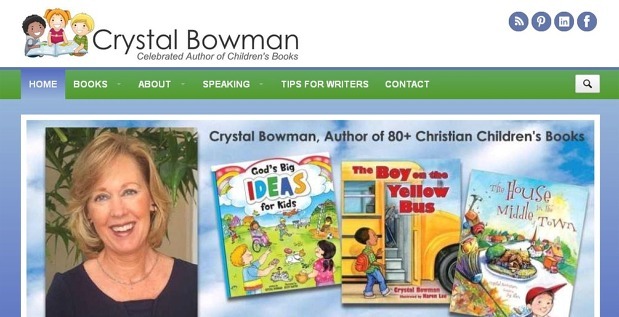 Crystal Bowman, best-selling and award-winning author of more than 80 Christian childrens books, needed an updated website that did a better job of showcasing her books. She also wanted to integrate her website with her social media accounts. We created a new WordPress blog for her, installed all of her books, updated her social media accounts to match, and optimized everything for the search engines. 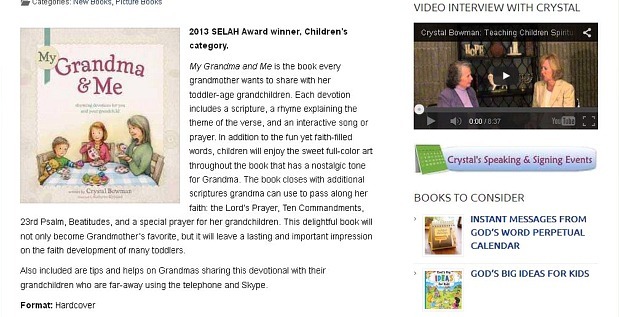 … My website is a true reflection of my work, my publications, my personality, and my faith. My updated website is fun, creative, and professional. I could not be more pleased and I highly recommend Teresa and Susan–they are experts in their field and have gone way beyond my expectations. – Crystal Bowman—Best-selling and award-winning author.